Designing functional objects to be 3D printed usually involves consideration of the required strength or durability of the finished object. Aside from the overall design and printing orientation, control or specification of the printing process itself is a primary concern of the designer. The printing process specification must address such questions as: What materials or processes can the part be printed in? How much or what type of infill is required? What are acceptable parameters for shell thickness, layer height, and nozzle width? The need to address these and other factors to provide printing guidance to the end user leads us to the next question….just how is part strength influenced by printing or slicing parameters? In this article, I will provide some experimental results to examine and from which we may draw some general conclusions. 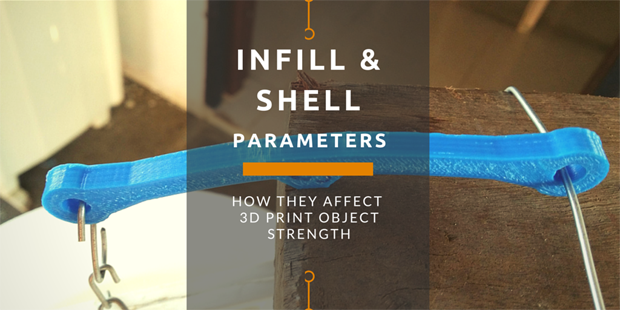 It is important to note that since the overall form and application of an object will be extremely influential in how infill and shell parameters affect its strength, these experiments serve only as guidelines and starting points. In critical objects, it is often necessary for designers to do their own testing to determine the acceptable range for printing parameters. 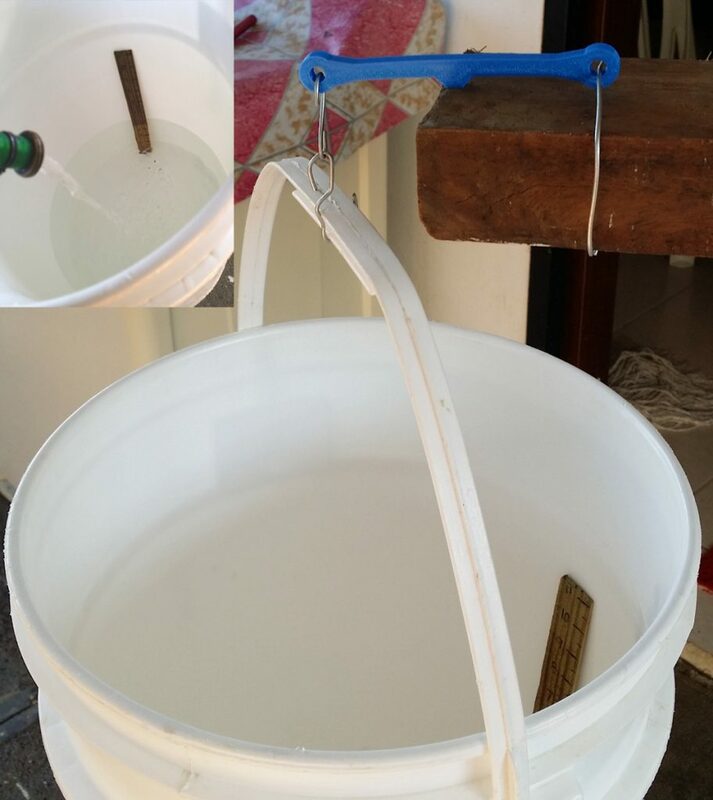 For this write-up, we will be using a standardized 6 mm cantilever beam, testing its load carrying capacity to the point of failure using a graduated water-load cylinder (white plastic bucket with a ruler in it). This crude load cell is sufficient to draw some broad conclusions from, but should not be taken as a substitute for application specific testing. For the test, a total of 4 load beams were prepared, each from the same model, but each one sliced with different settings. Cura was used as a slicer, as it gives good results and has a nifty 3D-preview feature to visualize the tool path. The parameters were adjusted for each beam to provide 3 beams with a .7 mm shell and 25%, 50%, and 75% rectilinear infill, as well as one beam with a 1.05 mm shell at 25% infill for comparison. The load beams were fixed to the test platform and the variable load using steel wire, with the load hanging from the unsupported end of the cantilever beam, supported on the protruding center of the beam. Loading was increased by adding water to the load cylinder, noting the level up to the point of failure. Measurements were approximate, with a 1/8” (.125) estimated resolution. Failure modes were universally in tension, with failure beginning in the upper (stressed) skin, propagating as a tear downward, as expected. It is worth noting that although it was the weakest in load capacity before failure, the 25% – .7 mm beam deflected farther than any of the others before failure. This characteristic suggests that increased strength comes at the expense of flexibility in this type of printed structure, i.e. less infill creates more flexible parts, while more infill creates stronger parts. As expected, the tests indicated an increase in strength as the infill was increased, with the greater gains between 25-50 percent. Gains between the 50% and 75% infills were more modest, but still significant. Tests of the 1.05 mm shell 25% beam showed strength to be slightly less than the 50% .7 mm shell beam, at a slightly lower material usage. The material used / strength relationship of the reinforced skin vs increased infill tests were very nearly linear with this model. This was surprising, as I had anticipated that increasing the skin thickness would yield more strength per unit of plastic than increasing the infill. I’m not sure why. Break detail for the 25% .7 mm shell test. Note the white stress stripes on the upper shell. 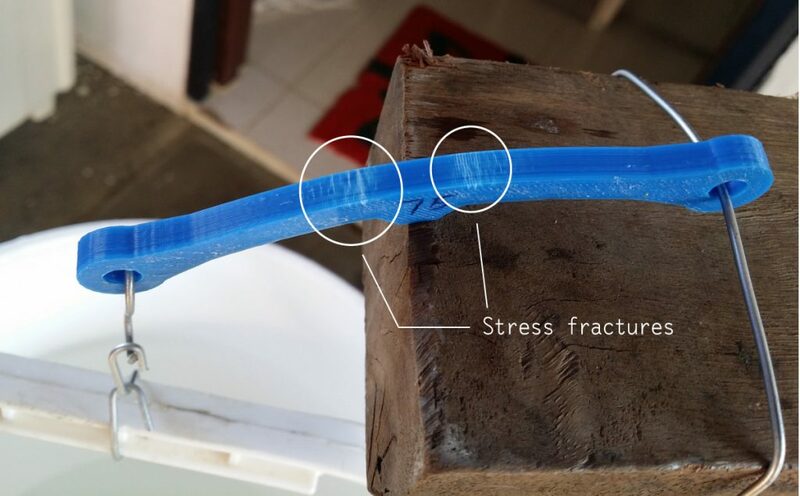 Stress fractures in the upper skin of the 75% infill test model just prior to failure. The test results confirm what empirical observation has led me to suspect, that infill density is a significant contributor to part strength, and that somewhere around 50%, a point of diminishing returns is reached. The precise optimal infill will vary based on part geometry, infill pattern, and the orientation of the load. 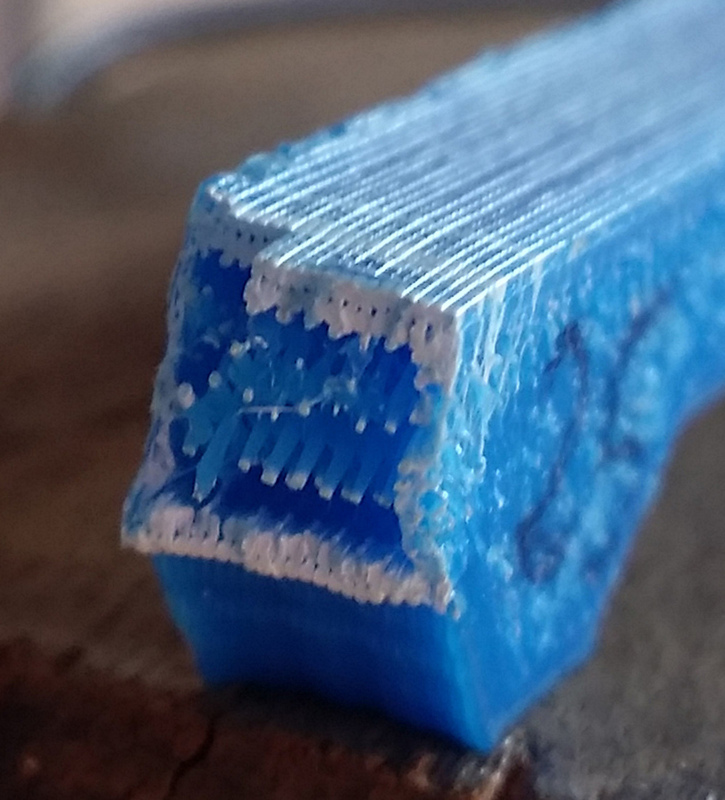 If your 3D printed part will have to withstand tension or compression loading in the Z-Axis, it will probably benefit from much higher infill densities, for example. An interesting observation was that the lighter infilled parts were able to accommodate more bending prior to failure, even though they failed at lighter loads. Among the many ways that the designer can influence the finished strength of an object, control of the printing process is the least direct. After all, an end user may take an STL file and slice it for any process, with widely divergent outcomes. For this reason it is important when designing objects for utility that the process and printing specifications should be detailed and provided with the model files as a description, read-me, or instruction file. 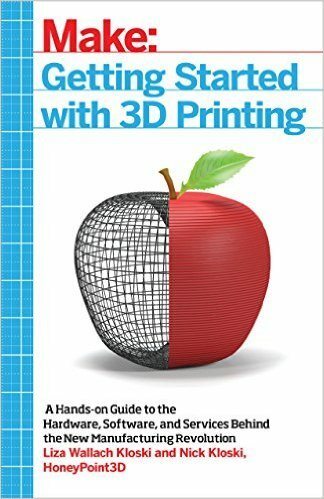 For more detail on print parameters and how they can affect the utility of functional prints, check out my book available at amazon.com or in PDF format at threedsy.com. 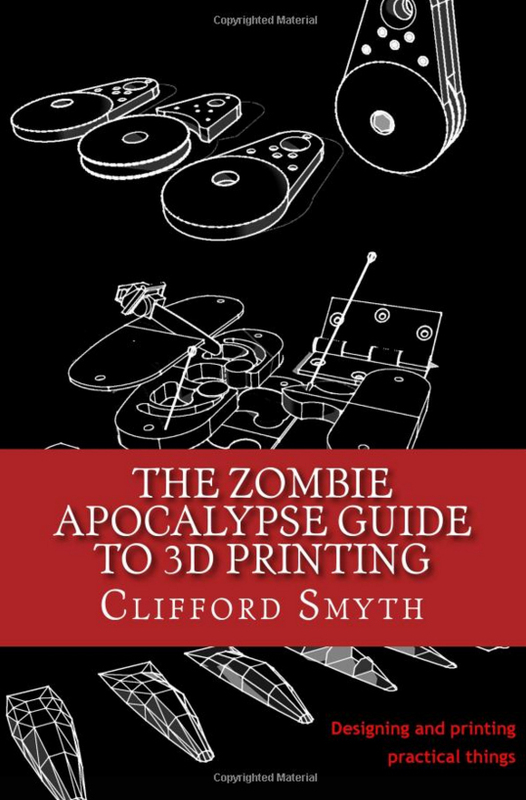 I hope you once again enjoyed this guest contribution by Clifford Smyth. If you have any questions about the concepts illustrated in this article, feel free to post them in the comments sections below. I wonder if 24% would fare any better. 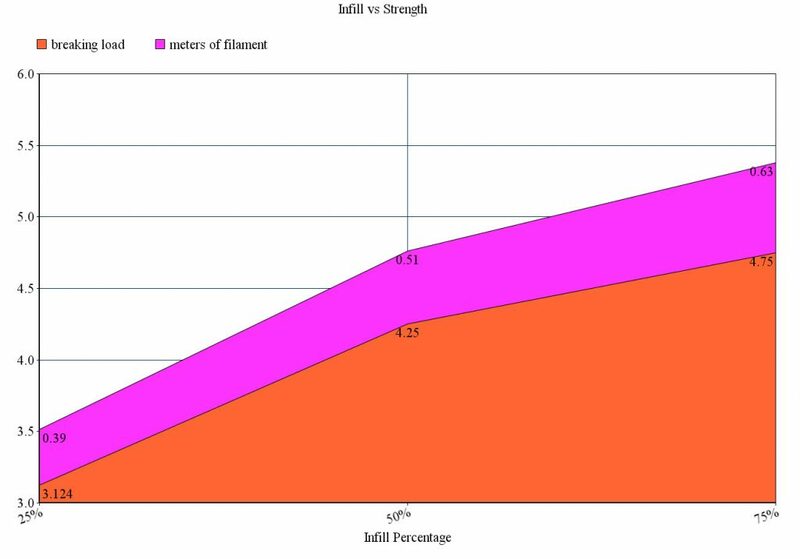 24% is the largest infill percentage where the infill is “solid” (in cura). By solid, I mean each layer has both directions of the infill. As soon as you hit 25%, then it starts to alternate layers (even layers will go one way, and odd layers will go the other). With 24% and lower, cura goes in both directions on all layers. Thanks for your suggestion Dave. We have not tested out with 24% infill, but if I find some time, I will try to see if it makes any difference. I will let Cliff (the author of the guest post) know about this, maybe he will test it too. I have been making 3d printed boxes (order is for 10,000) for months. My results are consistent with your results. However, if you account for time, then it is sometimes better to use more material, more shells, less infill percent, but larger infill extrusion diameters gives further properties. Thanks for sharing your insights. You are right, when slicing a 3D model it always pays to be clear on your objective: it could be part strength or printing time. Many times it is necessary to make a trade-off in order to obtain your objective. 10,000 boxes 3D Printed? How many printers have you got? How long has it taken you? 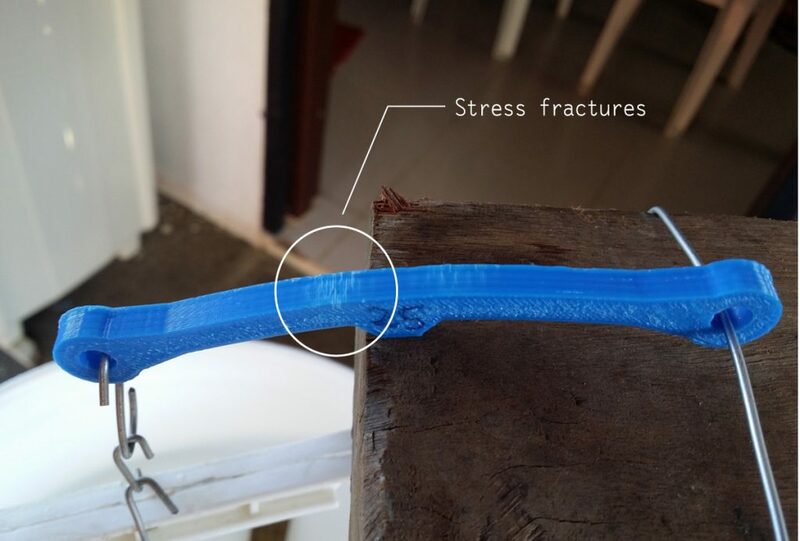 Wear and tear on the printer? Cost on both sides? I’m really intrigued also because I had a similar order, however, client was not willing to pay the cost per box! In anycase, I found manufacturing was significantly cheaper for the client, and I didn’t need to worry about wear and tear on just one order! The mould (based off on 3D print) is being manufactured as we speak!